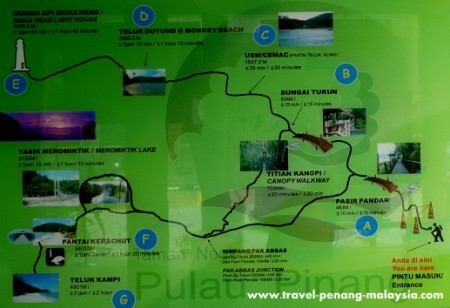 A great day trip while visiting Pulau Pinang is to travel out to the Penang National Park (Taman Negara), located on the north-west corner of the island in Teluk Bahang. The park is easily accessed from George Town or Batu Ferringhi by public transport (RapidPenang bus) and there is a whole range of things to do for all the family. With some of the best beaches on the island located along its shores, you can choose to travel around by boat or do some jungle trekking over the headlands and hills, where if you are lucky you will come across some of the park's wildlife, or you can just find a quiet spot for some bird watching or fishing. If you want to go hiking in the National Park, you can usually get a copy of the hiking trails from the parks office or take a photo of the big map posted near the entrance. There are two main trekking trails in the park, one that takes you along the coast, over headlands, to Monkey Beach and one that takes you over the hills, through the jungle to some of the more remote beaches, where you will find the Turtle Sanctuary. If you want to do both trails, you will probably need a couple of day trips, unless you decide to get a boat part of the way. The trails are often wet, can be steep in parts and you may have the odd fallen tree or group of rocks to climb over. So wear some footwear with good grip. I've seen people walking around in flip flops, but it's really not a good idea. 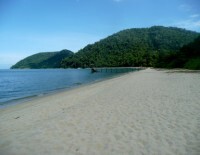 The most popular and easiest route follows the coastline to Monkey Beach (Teluk Duyung). The other route takes you on a fairly steep climb over the hill to Kerachut Beach (Pantai Kerachut). Just a the bottom of this trail you will come across a rare meromictic lake (a lake of two separate layers where sea and fresh water do not mix). Walk along the beach a while and you will find the Penang Turtle Sanctuary. During the months of April and August, Green Sea Turtles come to the beaches here to lay there eggs. Olive Ridley Turtles also visit this site between September and February. At the sanctuary, there is a small hatchery area and if you are there at the right time you will get to see some baby turtles. There is also another track leading off to the beach at Teluk Kampi. Looking for somewhere to stay that's nice and new? Trekking through the jungle is not for everyone, so if that's you, hire a boat from the entrance of the park to take you to a beach or take you on a tour of the whole park. Boats can usually accommodate up to 10 people, so if you are on your own it can be quite expensive unless you find someone to share with. A boat to Monkey Beach should cost around 50 RM. 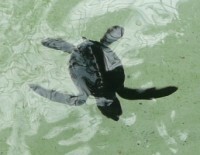 A longer trip around the peninsula to the turtle sanctuary is around 100 RM. You will have to negotiate hard to get the best deal! A popular boat trip in the park is a sunset cruise to Pantai Kerachut where the sunset is often at its best. The 250-metre long Canopy Walkway in Penang National Park offers a good view of the treetops from a 15 metre high suspended path. 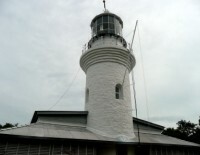 It is located an easy 1 km walk from the main entrance. You have to buy your tickets from the registration office at the entrance, they will not sell you a ticket at the Canopy Walk. Ticket Cost: 5 RM for Adults - 3 RM Children. 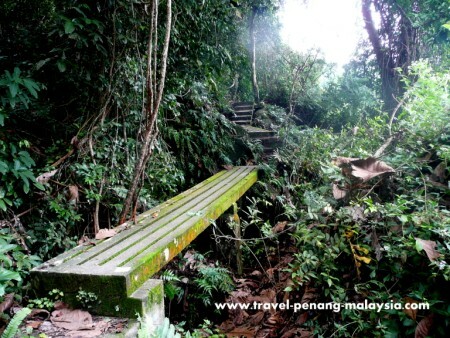 If you are looking for somewhere to camp in Penang, the park offers plenty of campgrounds. Camping is free but there is a limited amount of spaces (You should telephone the park headquarters in advance if you want to camp, as there is limited space - see telephone number below) and should only be done at the designated sites. Please do not camp on the beaches as this stops the Turtles coming on shore to lay their eggs. Have a look at our trail map page for locations of the campsites. This is easily the most popular beach in the park as it is the easiest to get to either by boat or by hiking. If you want to walk there it will take you between 1 and a half, to 2 hours, following the main coastline path up and down over a number of headlands. 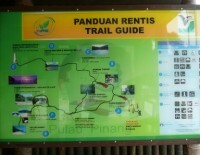 The Entrance Fee to Penang National Park is free. You do have to register at the office at the entrance before you enter, advise them on where you plan to go and get a park permit. If you wish to use the canopy walk, you have to buy your tickets at this office. 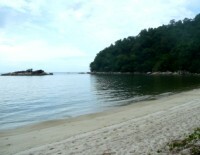 The park entrance is located in Teluk Bahang, right in the very north-western corner of Penang Island. Getting to the park by public transport is easy, with RapidPenang Buses stopping right outside the entrance. From Georgetown to Penang National Park, take Bus 101. You can pick up this bus from many of the popular tourist areas of the city, including the Jetty, Chulia Street and KOMTAR. From Batu Ferringhi beach, you also take the same bus as it passes here on its route. The bus turns around right in front of the entrance and heads back to Georgetown from here. From Georgetown, the bus trip is about an hour (depending on the time of day and amount of traffic). 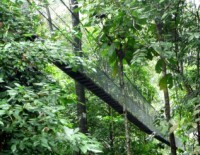 The Penang National Park is open every day of the year. The official opening times are from 8:00 am until 5:00 pm. These are the opening times of the park registration office, where you have to register to get your permit, although the park itself is not closed off by any gates. You will need to take all your own drinking water (it's hot work hiking in the jungle) and food for your trip, as none is available inside the reservation. Some shoes with decent grip. Wet weather gear if you have some, along with plastic bags for your camera and valuables. A good idea would also to bring some spare dry clothes if you are travelling back to Georgetown on the bus. Being wet on the very cold A/C bus for an hour or so is really unpleasant! 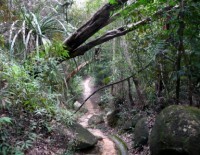 Visit our Penang National Park Photos page for more pictures from around the park. The small town of Teluk Bahang has just a few small basic guesthouses and homestays such as the Fisherman’s Village Guest House, Amal Inn Budget Hotel, Ali's Guest House and Miss Loh's, located off the road leading to the Butterfly farm. There used to be a large resort hotel here, the Penang Mutiara Beach Resort, but it has been closed down for a number of years now. For most people, the best place to stay near the park is at Batu Ferringhi, just a couple of kilometres away and easily reached by regular buses. Here there is much more choice, with many luxury beach-front resorts and plenty of cheaper budget accommodation. 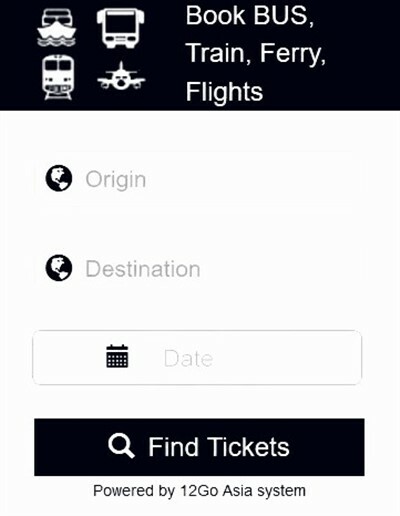 Please see the following pages on our site for more information and links to reviews and prices for online booking.